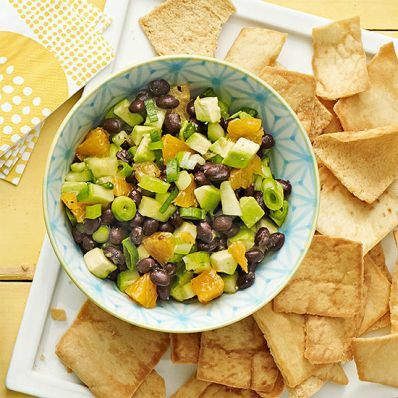 1 of 2 In a medium bowl, toss black beans, cucumber, orange and scallions. If making in advance, do not cut up avocado until just before serving. 2 of 2 Add diced avocado to bowl and drizzle with vinegar and oil. Season with salt and pepper and gently stir, trying to keep avocado from getting smashed. Serve with chips.